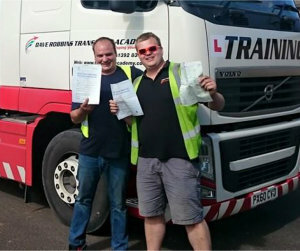 For those looking to begin or develop their driving career in the road transport industry, the relevant category of driving licence is essential. We provide practical driver training to both new and existing drivers, whether this be for individuals or candidates from large companies. We also provide free continual careers advice to all candidates after their course. We also include a FREE 1 hour tachograph operation/basic drivers’ hours session to all candidates as part of their Category C, Category C+E and Category D training! In addition, we offer a FREE 1 hour initial driving assessment. For those who are unsure whether they are suited to driving, we are able to offer a free practical driving assessment before any commitment to attend a course is required. The assessor can then recommend which course the candidate would be suited to. Firstly you need to have a medical examination. You can use your own doctor for this, or we hold regular surgeries at our training centre. The costs for a medical here is £50. For appointments, please give us a call. You will need to bring a D4 Medical Examination form with you to be completed during the medical. These can be picked up at most Post Offices, or you can download them from www.gov.uk. The instructions on how to fill in and send this document will be included with the form. To do this you need to send your completed D4 medical form and a D2 Provisional Application form (also available at most Post Offices) to the DVLA. You will also need to send both parts of your driving licence. You will now need to study for and take a multiple choice theory test and a hazard perception test. These can be booked online at www.gov.uk or by calling 0300 200 1122. If you passed your car driving test after January 1997 you need to also complete this module. However you can start your practical course with us before you pass this module, but you will need to complete it before you drive commercially. This exam can be booked in the same way as modules 1a and 1b. Once you have passed modules 1a and 1b we can book you in for your intensive practical driving course and practical driving test. You will complete the course in either our rigid (Category C) or articulated vehicle (Category C+E). See below for an explanation of the Categories. Again, if you passed your car driving test after January 1997, you will need to complete this last module in order to drive professionally. This last module involves one more day’s training which will prepare you to demonstrate your ability to load vehicles, deal with emergency situations, vehicle security checks and other practical aspect of driving professionally. This is something we will book and organise for you. Please contact us to book a course and test, or to discuss any requirements that you may have. This Category is required to drive rigid vehicles with a gross weight up to 7,500kg. This Category is required to drive rigid vehicles with a gross weight exceeding 7,500kg. This Category is required to drive articulated vehicles. This Category is required to drive buses with more than 8 seats.